A big bounty with up to 33% reward points on some spends. Now HDFC Bank has been diluting the program over the past one month it seems. First, they put a cap on the number of points you could earn in a cycle, and put 50,000 as the cap on the number of points one could earn every cycle. They also knocked off some exotic partners such as Hawaii Air & Iceland Air already a few months ago. Now, it turns out, the options to convert points are severely limited to 3 partners. Here is the new form published by HDFC Bank, which gives us insight into the redemptions possible. This is different from the amount you’d see on the HDFC Bank Diners Club website, which is lower and puts both the cards on par with each other. This stings bad. Indian Banks continue to take customers for a ride, and deem it fit to change the goalpost overnight by changing product features without notification. I assume they knew about it for days ahead, and a notice would have been nice. That said, it is a reminder for the only thing I’ve always said. Earn & Burn, Earn & Burn. Don’t always hoard. Otherwise, this is terrible news for everyone including HDFC Bank Diners Club. If I have any clue of how most people use their points, most will anyways use them on the website to redeem for tickets or cash equivalent. However, when you use them as miles, the benefits you get are just some other level all together, and this was the inspiration for the readers of this blog to be taking the card. Clearly HDFC Bank will see a drop in people doing large ticket transactions to get their up to 33% cash back on this card. 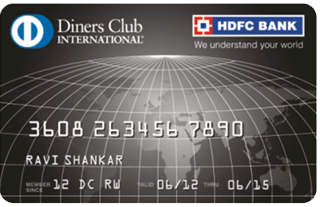 What are your views on this sudden turn of events at HDFC Bank Diners Club? Love it, Hate it, Abhor it? Any way out? My DC premium is getting upgraded to black by the bank, but I have a HUGE points balance. Will I lose all the points or will it be converted to an equivalent amount in DC Black or will be transferred at a pittance ratio? Any idea on this? Thanks a ton! Since the Sept 30 deadline is over, I spoke to HDFC. They say that they do not have any plan to update the list of 10X partners. When I specifically asked about Airline partners, they re-confirmed that only SQ, AI and Jet will be the conversion partners. However I still hope that someday they will reinstate their earlier partner list! Have you guys heard anything on this front? Ajay.? looks like 1 reward point = 0.7 Air Mile for Diners Club Black. I just transferred 10000 Diners Black Points to 10000 Jet Points. On a call to the call centre, they say for Diners Black the ratio is still 1:1 and its a typo error on the website. Citi Prestige wins hands down even without this devaluation. I have the Diners Jet Airways card and past few months I have been contemplating converting it to Diners Black. I guess I will wait until Sep 30 to see what they have on offer before taking a call on way or the other. Well – here’s the good news. I just called them up to take my chances of being able to convert to Hyatt GP, just in case. I was told that they have indeed stopped the other partners, but this is temporary. By September 30th, 2016 they hope to get the new transfer partner list. Fingers crossed that at least Hyatt GP and AAdvantage make the cut. What? I had almost finalised my Europe trip based on the transfer arbitrage I was getting for Hyatt and American Airlines. This is a huge spoiler. Why couldn’t they give a notice at least? Do you get a sense that this could be temporary until they renew the transfer partner list a la the time they took in renewing their earning partner list? Don’t know what to say…! It is so harsh and takes away the most important benefit of the card. All these months I was somehow pulling along and tolerating the relationship with HDFC bank. Going forward I will stick to Citi Prestige.